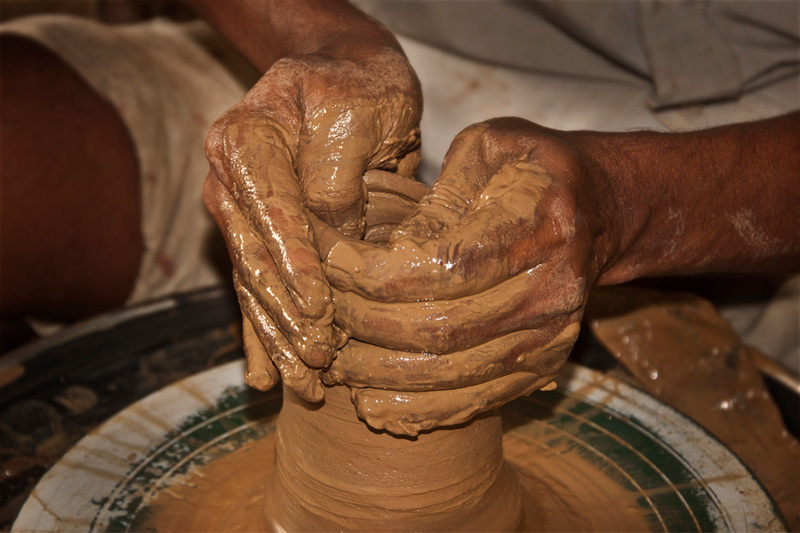 Clay craft in India has very old history from the ancient days. 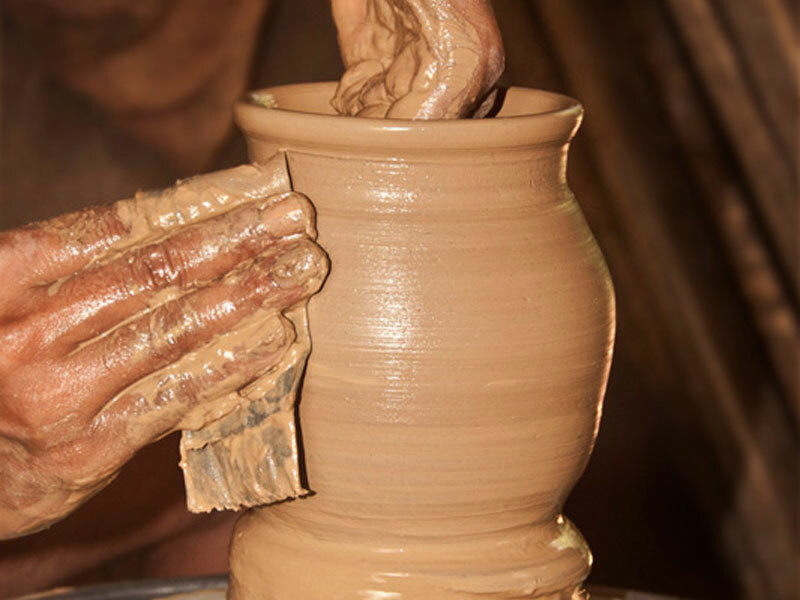 The terms like ‘Pottery’, ‘Earthenware’ and ‘Terracotta’ are generally used only for utensils such as pots, cups, bowls, and for few more decorative items which are easily and skillfully created by experienced craftsmanship. 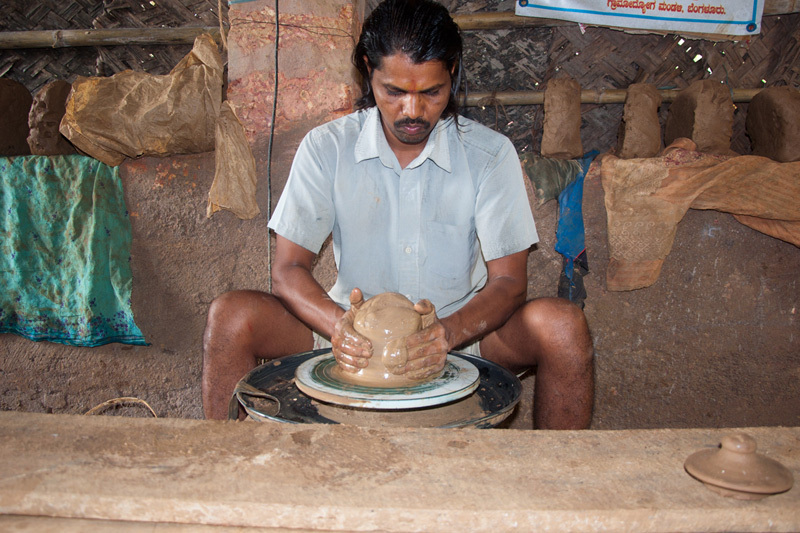 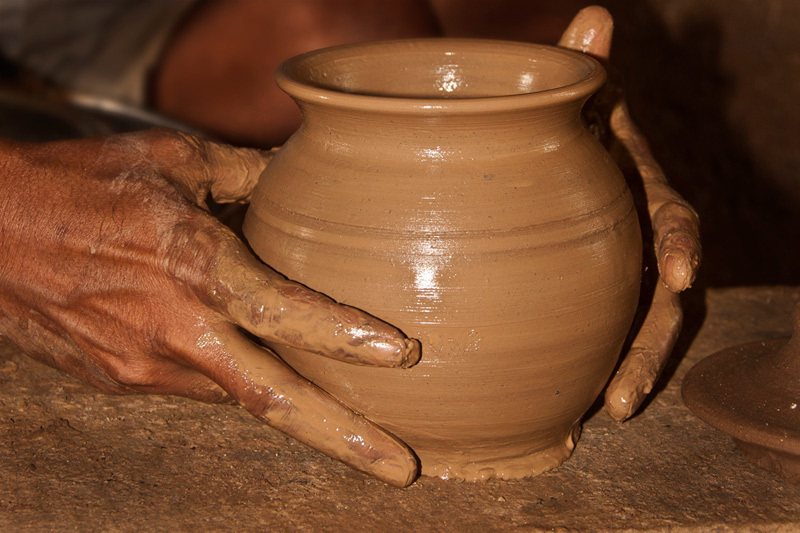 The clay artisans of ‘Kundapur’ expertise in creating different varieties of clay products by throwing technique. 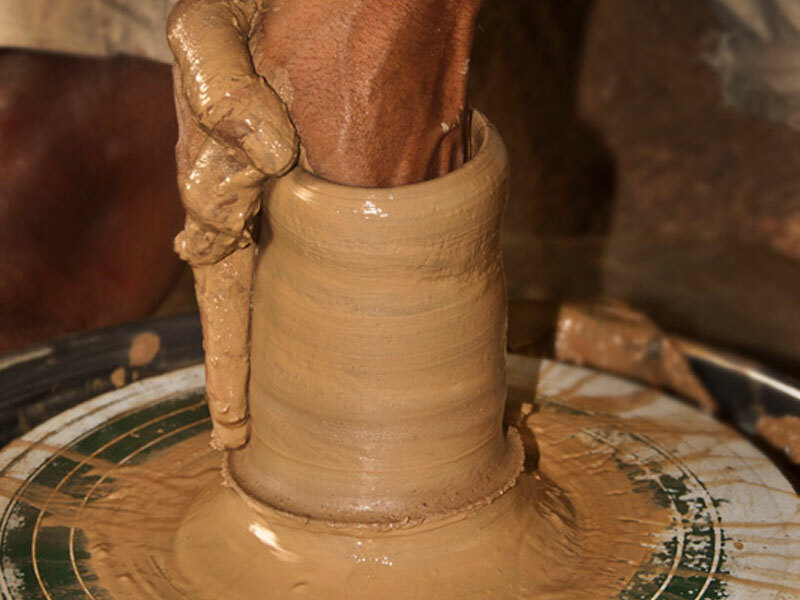 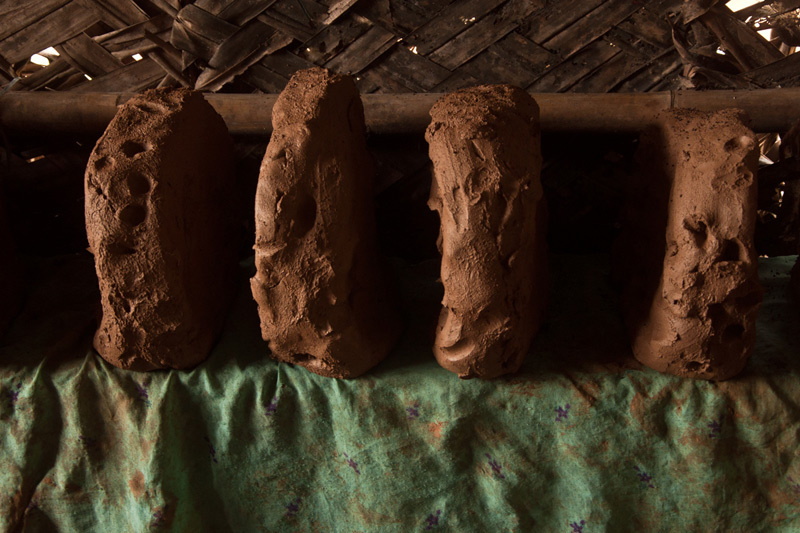 Locally available clay which is called ‘Jeedi Mannu’ is processed specially with outmost care. 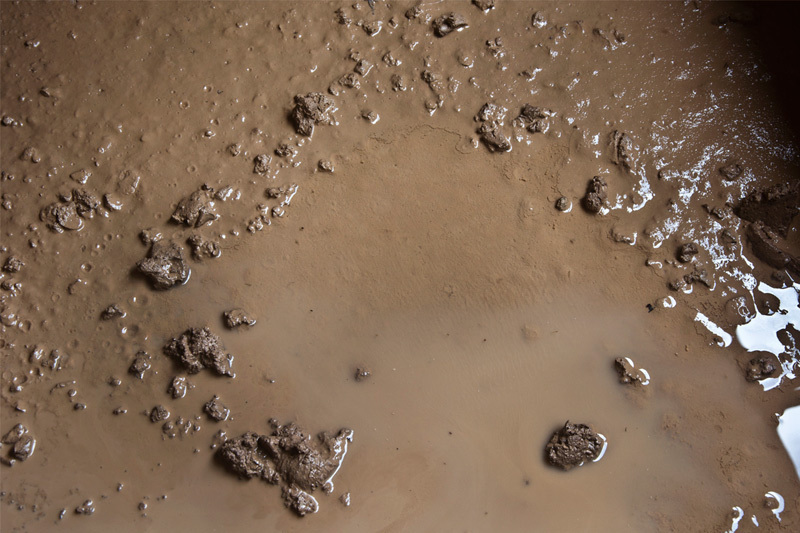 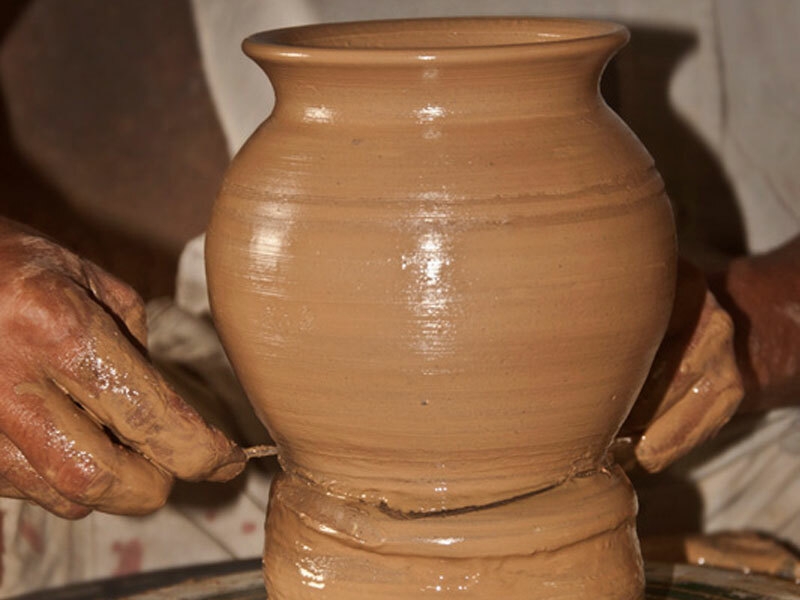 The processed clay after purifying is soaked in water for 15 to 30 days to enhance the suppleness and also to avoid cracks and damages during firing process. 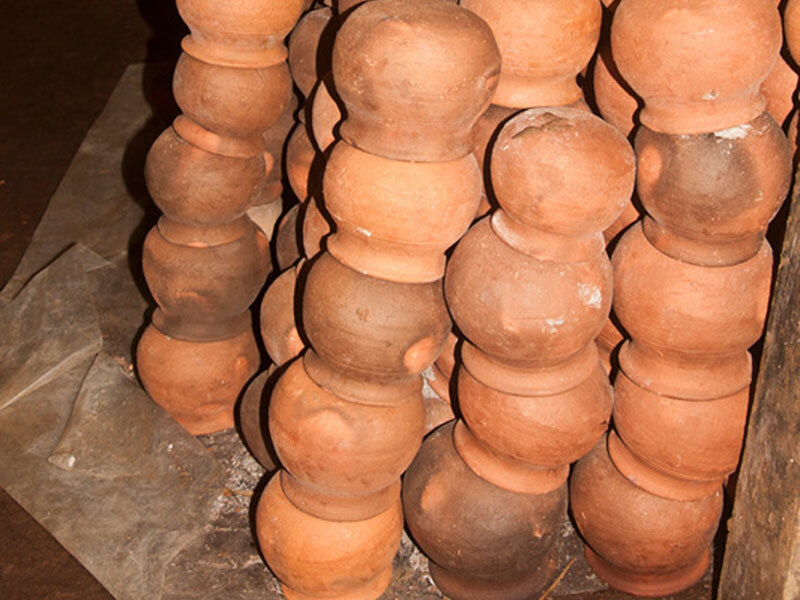 This makes clay products of Kundapur a special characteristic and unique identity for its supple texture and rich natural red color. 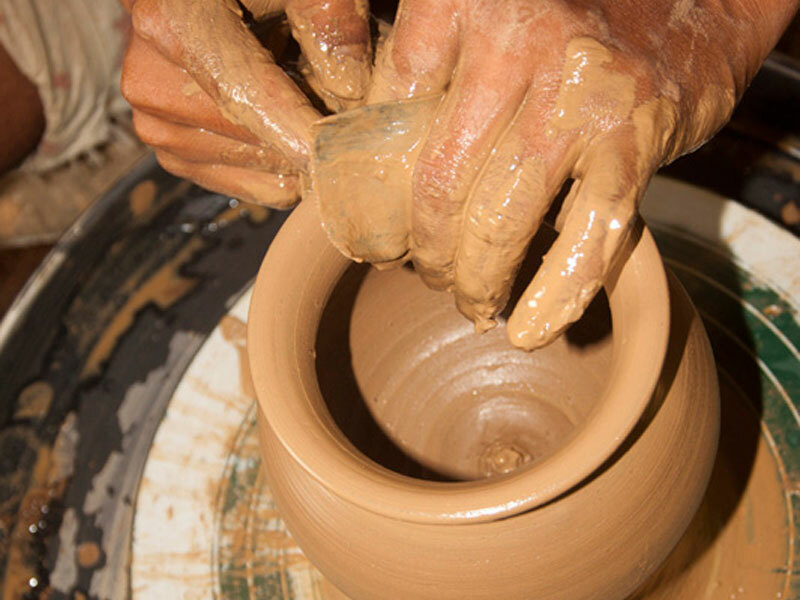 Processed and purified clay is placed on the turning wheel to shape beautiful natural clay products, which are useful for daily life as well as decorative purposes. 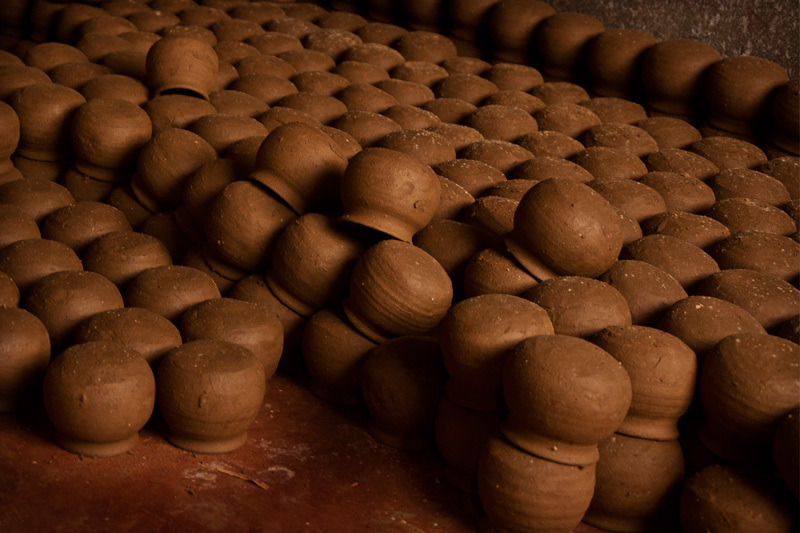 The turned products are baked in a closed furnace to make strong as well as to obtain brick red color. 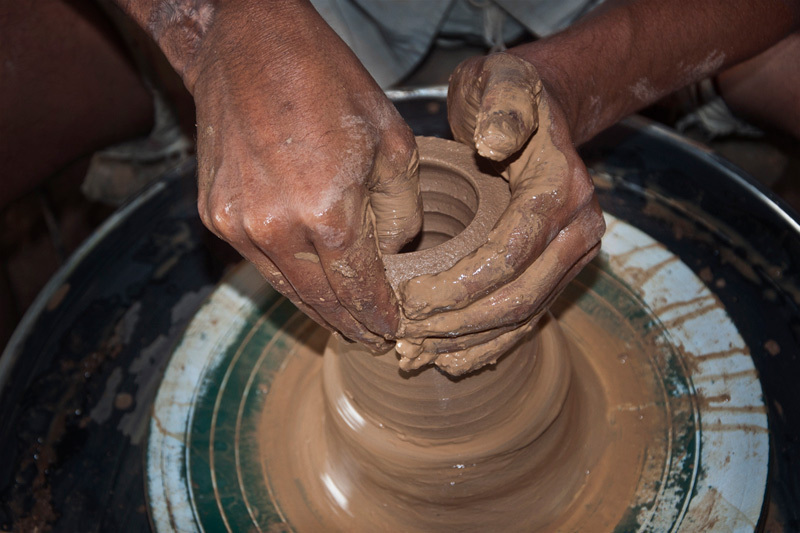 Finished products are decorated with clay beads and different colors as per the requirement to enhance the outer appeal.